IBM branded (non-generic) 1 TB 7.2K Dual Port SATA HDD is hot-swappable for your IBM server storage needs. 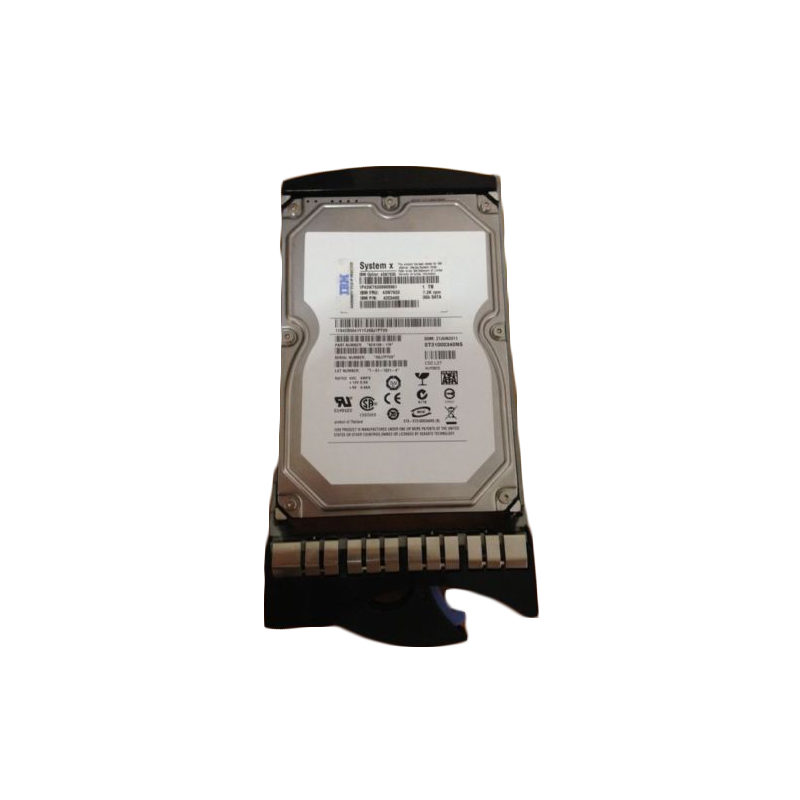 The IBM 43W7630 is a 1TB 7.2k RPM SATA hard drive for use specifically in IBM System X servers. Whether you’re upgrading your IBM server or simply looking for a replacement hard drive, we have what you need. If you don’t see the part listed that you’re looking for, please use our Contact Us form; as we have many parts in inventory that are not listed. Please note that all IBM hard drives, systems and parts are used / refurbished, fully-tested, and backed by a 60 day warranty. The IBM 43W7630 43W7626 7,200 rpm 1 TB HDDs provide 3.5-inch form factor options that can be used as hot-swap drives. The addition of a 7,200 rpm offering to the IBM System X, BladeCenter, and Storage and I/O Blade family of 3.5-inch SATA HDDs offers the highest performing SATA options and will provide a wider selection of choices to satisfy a range of applications. These new drives are positioned at the top of IBM’s SATA HDD line based on increased performance. A 3.5-inch wide, 1-inch high, slim-line form factor that allows maximum installations in supported System x, BladeCenter, and Storage and I/O Blade configurations. I like not having to call around and get quotes. I just gave it to my purchasing dept and had my hot swap drive in no time.